Dr. Julie Reck and Seth go through tips and tricks to making the visit to the veterinarian one that is fun, stress-free, and positive for both our patients and their owners. Dr. Reck, an advocate and team member of the Fear Free initiative, shares her expertise in reducing stress, fear, and anxiety in our patients and explains how in doing so we can deliver even better medicine and services to our patients and their families. In 2010, Dr. Reck published Facing Farewell, a book dedicated to providing pet owners with information to assist them with making difficult end of life decisions for their pet. Facing Farewell was awarded the Maxwell Medallion of Excellence for the best book in pet care and health by the Dog Writers Association of America at the 2010 Westminister Dog Show. In 2011, Dr. Reck opened the Veterinary Medical Center of Fort Mill. The practice quickly flourished and is now home to 4 full time associate veterinarians. In 2016, Dr. Reck launched a revolutionary approach to veterinary wellness care called the Healthy Pet Happy Pet Experience℠. It is a two step approach that divides the wellness visit into a one-on-one medically focused veterinary consultation and then separate seminars on key topics of pet care: grooming, nutrition, and training. 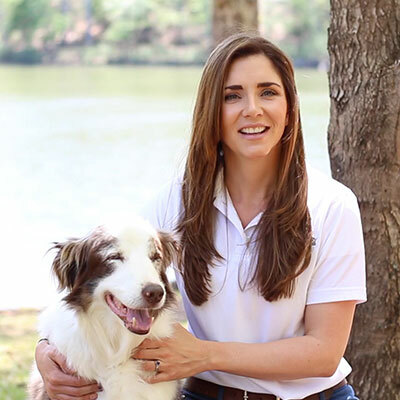 Dr. Reck is passionate about positive culture development in veterinary practices.